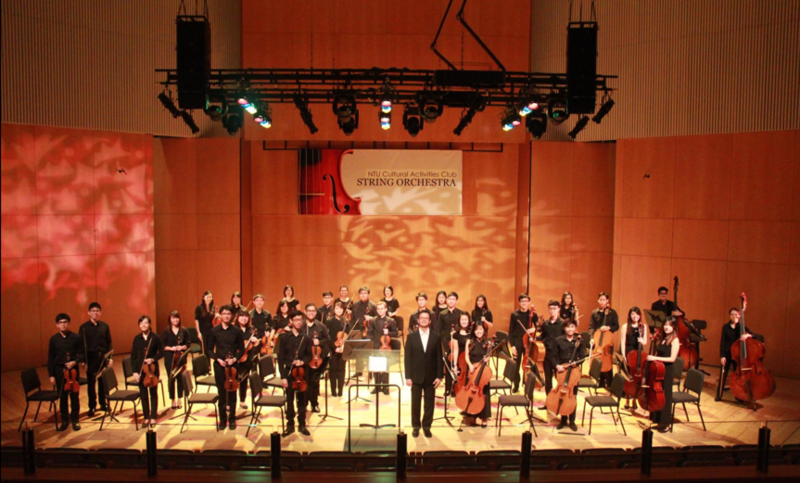 NTU CAC String Orchestra (NTUSO) has soared over its 20-year history. Since its humble beginnings in 1994 with only a handful of members, NTUSO has grown annually to a club with nearly 100 members. NTUSO has now expanded since its formative years to include two orchestras – the Main Orchestra, Training Orchestra and also Beginner and Intermediate classes. With these three distinct sub-groups, NTUSO strives to provide equal opportunities to all its members by hosting various concerts throughout the year. The Training Orchestra and Main Orchestra each host their respective annual concerts – the Stringendo and Movendo series. This allows the club to be exposed to a wider repertoire of music. Apart from the annual concerts, our members also perform as ensembles or quartets for various events including school events, corporate events, weddings, and professional tour concerts. We are now led by two passionate and committed conductors: Dr Yeo Jan Wea and Mr Gerard Chia. *Sectionals and Beginner classes are subject to our members’ schedules. For general enquiries, please do email us at cac-stringorchestra@e.ntu.edu.sg.